Growth – Both our company and our customers have grown significantly over the last 5 years. Since Year 1 we have grown from a £300k annual turnover to £7m in 2017. There are many great entrepreneurial customer stories of growth driven using BigChange technology. We have recorded over nearly 1 billion kilometres of driving equivalent to 2,330 trips to the moon or 16 trips to mars, customers have invoiced fast approaching £200m through the system and completed over 4m jobs, 1 job every 2.5 seconds. Awards – In 2017 alone, we won over 10 awards including the prestigious Deloitte Fast 50, recognising the fastest growing tech businesses. We ranked 25th in the UK and 98th in the Fast 500 in EMEA. Unique Technology – BigChange has developed a 4-in-1 System that is unique in the marketplace and includes Customer Relationship Management (CRM), Job Scheduling, a rich Mobile App for Tablet or Smartphone and integrated Vehicle Tracking & Fleet Management. This innovative system continually evolves with new features. Our latest development is the BigChange “Uber for Service and Transport” customer branded on-demand Booking App (iOS/Android) where BigChange clients can rapidly deploy their own app on the Apple App Store and Google Play Store, request a demonstration now. Investing in People – We now have a 60-strong team who continually strive for excellence and are collectively responsible for our rapid growth and achievements. I am proud of our success. We provide lots of employee benefits including a series of “Motivational Mondays” that we have held at the beginning of each month as part of our Team Building events. We kick off 2018 welcoming Toya Wilcox with her own unique story and journey through life. RoadCrew Customer Service – A highly dedicated team that is growing fast, and providing the very best service and support 24/7 . RoadCrew provide Implementation, Training & Technical support for the Office Employees, Drivers & Engineers every individual can call us at NO COST for telephone support. Customers – 650 Companies representing over 15,000 mobile subscribers reaping the benefits of the BigChange system in the UK, Europe, USA and Australia. We have no barriers, our system can be used in any country in the world as it is multilingual and multi-currency. 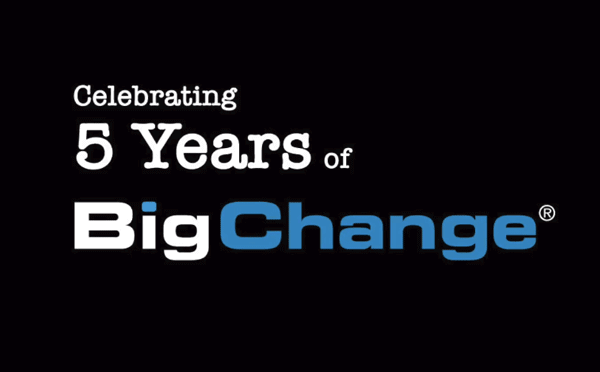 BigChange has customers operating in many Public & Private sectors including Construction, Hire, Highways, Civil Engineering, Utilities, Facilities Management, Waste & Recycling, IT Services, Medical, Foodservice, Transport & Logistics, Passenger Transport Home Delivery and Couriers. CEO Shop Floor Days – I want to meet as many customers as possible in 2018. I would like to visit your offices and understand your businesses better and even go out with Engineers and Drivers, to make sure you’re getting all the benefits out of the BigChange system. Please let me know dates when you will be free just email martin.port@bigchange.com offering me dates any Tuesday, Wednesday or a Thursday. Partnerships – We work closely with technology leaders such as Google, Samsung and Amazon, as well as industry trade bodies such as the Road Haulage Association, Freight Transport Association, Service Associations and Tech North. Corporate Social Responsibility – At the heart of BigChange is a real commitment to Corporate Social Responsibility. As a Corporate Partner of the fantastic charity Transaid we are getting involved with as many events as possible. I along with a group of Transaid’s key supporters I will be making a trip to Zambia in March 2018, to better understand the international development organisation programmes in the country. Also, various other charities which include amongst others BRAKE, the Road Safety Charity and even a local social enterprises. We look forward to welcoming many more new customers in 2018 and continuing our strong partnership relationship with growing existing customers. All at BigChange wish you a joyful festive season and a happy and healthy New Year.